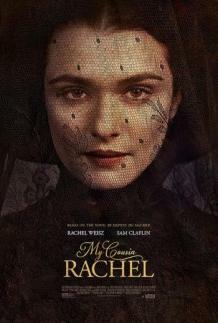 Adapted by director Roger Michell (Notting Hill) from Daphne du Maurier’s Victorian-era bodice-ripper, My Cousin Rachel – set along the wave-crashing coast of Cornwall, England – brims over with mystery, suspense and ravishing romance. Rachel Weisz plays Rachel, the femme fatale who dramatically changes the life of Philip Ashley (Sam Claflin), the 25-year-old ward of her late husband. Philip has received letters from his ailing cousin Ambrose, taking the sun in Italy, that Rachel is his ‘torment.’ By the time he visits Florence, Ambrose has died and the lady has gone. Philip’s mind is alive with doubt. Some build-up. Rachel’s black widow’s weeds only enhance her devastating beauty and charm. Philip is besotted. He sees nothing grasping about her, despite a reputation for lavish spending and bohemian behaviour. Is Rachel being punished for the sort of independent thinking that’s foreign to 19th-century society? Ambrose never signed the will leaving his estate to Rachel; hoping for more than a hook-up, Philip decides to give everything to this older woman, who sees him as ‘a lovely boy’. Then he starts getting headaches and Rachel keeps brewing him her special tea. You can see where this is headed. Michell keeps the soirées and suspicions moving in a swoony swirl, while Claflin rises to the occasion. The occasion, of course, being a chance to costar with one of the best actresses of her generation in a movie she lights from within. Weisz runs the gamut of emotions even when the script backs her into corners of banality. She’s the reason this old-school nailbiter brims with dread and delight.